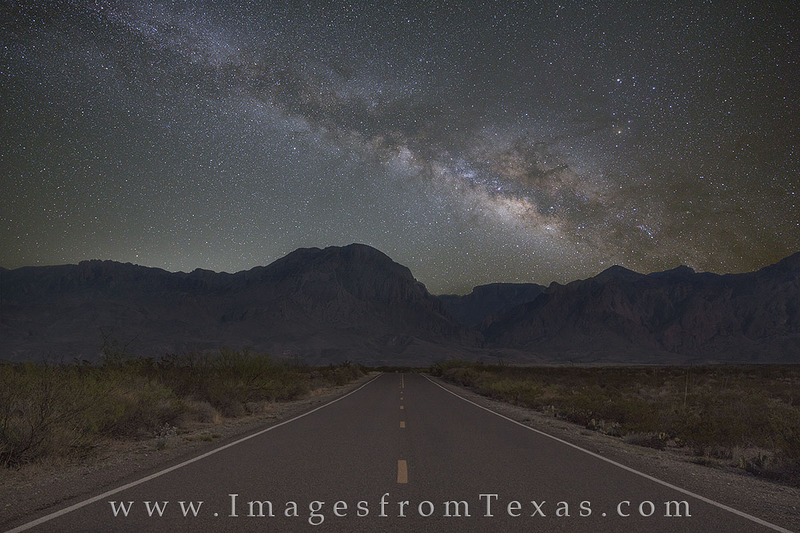 Facing Southeast, a portion of the Ross Maxwell Scenic Road heads towards the Chisos Mountains in the hours before sunrise. I took long exposures of both these mountains of Big Bend and separate long exposures (using a star tracker) of the Milky Way. The final composite image shows the view from this stretch of highway. Photo © copyright by Rob Greebon.